BACKGROUND: Project was conceived at a hackathon for empowering people with disabilities. 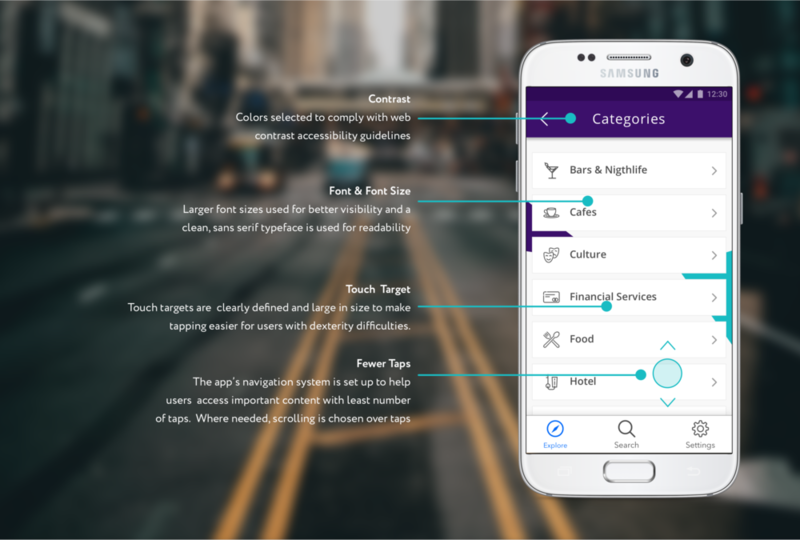 OVERVIEW: A mobile app to empower wheelchair users & their caregivers to discover and share wheelchair accessible places in Singapore. TEAM: LJ Jang, Raja Kanagasabai, Clara Loh, Ivan Yong, Tony Zhu & myself. MY ROLE: Led the design process, information architecture, wireframes & UI. RECOGNITION: Received $20,000 Jumpstart Grant, featured in TODAY newspaper. The project was conceived at a hackathon aimed at enabling people with disabilities and continued beyond the weekend thanks to the seed funding we received to further develop our idea. 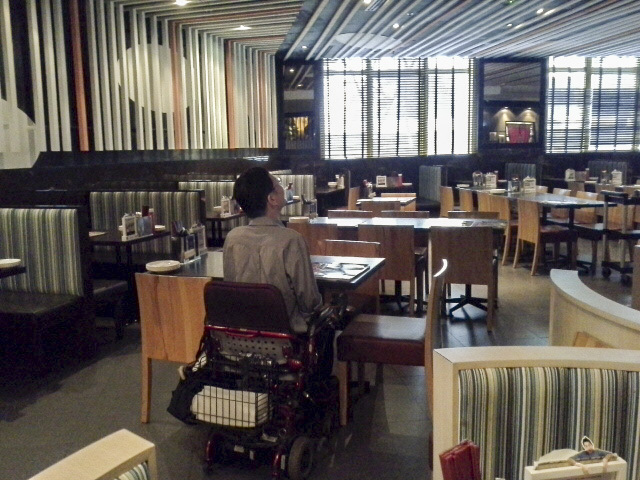 GoEasy is the result of working closely with two of our team members who also happen to be wheelchair users. By spending lots of time together and engaging in interesting discussions, we arrived at a shared understanding of some key pain points faced by wheelchair users in Singapore. While commercial buildings tend to meet building regulation accessibility standards, this is not always the case for restaurants, supermarkets, cinemas, etc. located within them. Apart from family and friends, no reliable source exists for wheelchair accessibility information. Existing sources only document high-level accessibility of commercial buildings. As accessibility standards can vary dramatically, many wheelchair users we spoke to tend to stick to tried-and-tested places–typically their workplace and a handful of recreational areas in their neighborhoods. 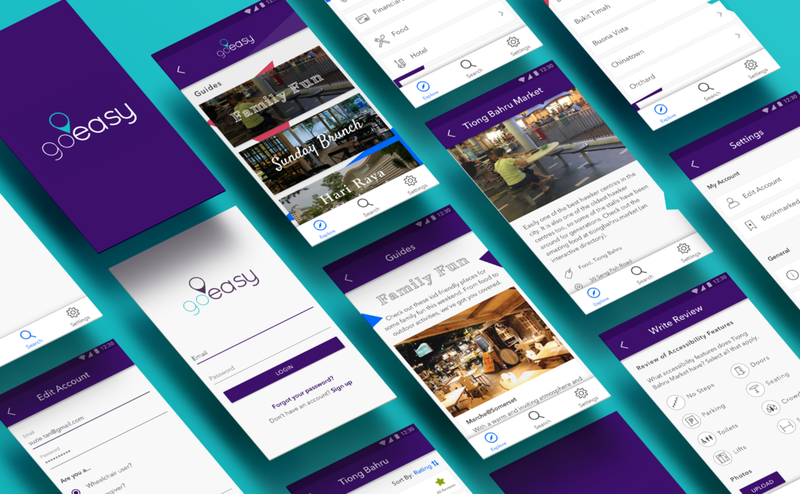 By sythesizing insights from research and analyzing existing solutions, we found found a gap in the market for a platform with in-depth wheelchair accessibility information for specific establishments, such as restaurants, cafes, cinemas, supermarkets, etc. Primary stakeholders include tech-savvy wheelchair users and caregivers that want to discover and share wheelchair-friendly places in Singapore. The app also engages members of the general public who are interested in volunteering small amounts of their time to contribute content–photos and reviews. Local businesses will be able to update accessibility information for their establishments on the app to encourage patronage. In the future, we hope that businesses can also promote themselves through paid advertising. The hope was also to use data gathered from GoEasy to work with local businesses to improve their accessibility. We tried different approaches to facilitate discovery before ultimately settling on a series of themed guides (e.g. Best Sunday Brunch, Family Fun) with a curated set of recommended places that focused on user's goals as the primary means of discovery. We learnt that there were eight key features that wheelchair users looked out for. Reviews and photos were good for qualitative information. Star ratings helped users decide whether to look deeper into a place. Listing accessibility features available were useful to see if the place catered to a user’s specific needs. The final design incorporated elements of all three types of information at various points. Given that the app needed to serve the needs of wheelchair users, it was important that the app experience was designed to be inclusive. The following are some of the design decisions that came out of observations on how wheelchair users used their mobile phones, especially when on-the-go. The app is available for download on Google Play. With an initial prototype built, we gathered a small group of wheelchair users for an afternoon at Sentosa, a popular attraction in Singapore with a number of restaurants, historic sites, etc. The idea was for all of us to simply hang out, grab a bite to eat and record some of our experiences using the app. Based on conversations with the group, we completed the following framework for feedback for each person as they expressed their thoughts on the app and used the feedback for future iterations.